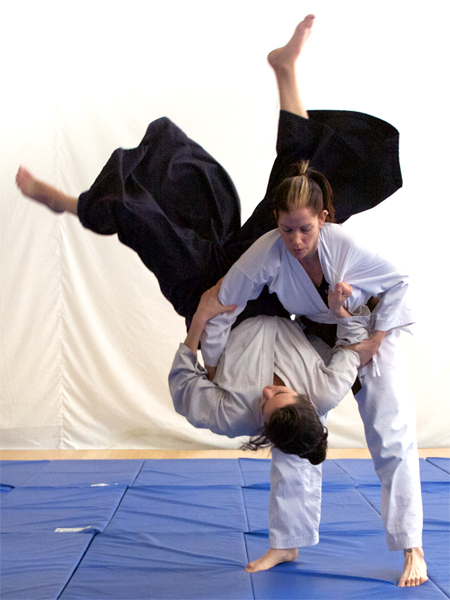 AIKIDO SHUSEKAI is an inclusive, community-oriented Aikido dojo in Berkeley, California, founded by Nick Walker Sensei and Azzia Walker Sensei. We offer multiple classes each week for our adult students, and a Family Aikido Program for children ages 7 and up (and their parents). We’re located at 2525 Eighth Street (near Dwight Way) in Berkeley, in Studio 12. Aikido Shusekai is an LGBTQ-friendly dojo. Register here, or contact us if you have any questions. Best Martial Arts for Kids in Alameda County four years in a row!